Located in west central Colorado just south of I-70, Delta County is filled with the opportunity for winter adventure any time of the year. But once winter arrives, it becomes one of the state’s best places for off-the-beaten-track adventures on skis, snowshoes, and mountain bikes. The county offers a huge variety of terrain from desert lowlands in the Uncompahgre Valley—where snowfall quickly melts—to the 10,000-foot crest of Grand Mesa—where over 45 feet of powdery snow blankets spruce and aspen forests. Delta County is the perfect winter getaway to get outside to play. Here’s our list of the top six winter activities for an inspiring Delta County adventure. Powderhorn averages 250 inches of dry powder every winter. Powderhorn Mountain Resort, perched on the northern edge of Grand Mesa, is a family-friendly ski and snowboard area with affordable prices, 1,600 acres of diverse terrain, 42 trails, two terrain parks, an average of 250 inches of dry Colorado powder every winter—and no crowds. 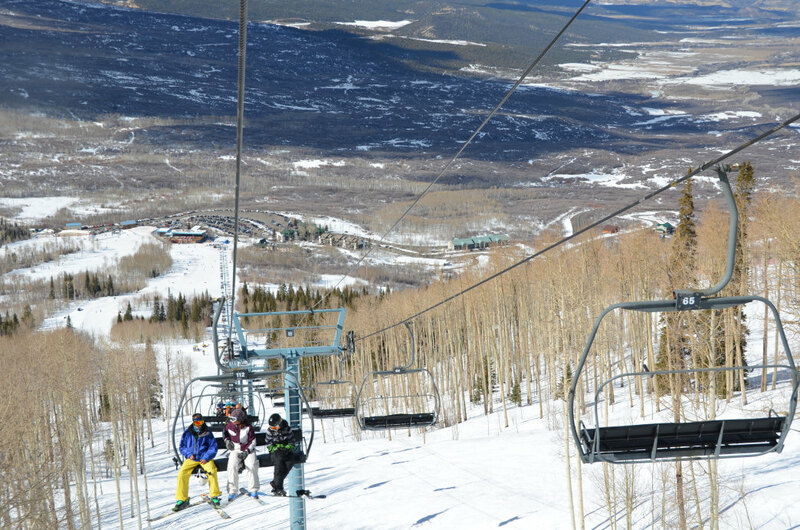 The area, with 20 percent beginner and 50 percent intermediate runs, is perfect for families and novice skiers, while advanced skiers and boarders love Powderhorn’s steep runs, moguls, and glade skiing through groves of white-trunked aspens. Besides great skiing, Powderhorn is renowned for its stunning views across the Roan Plateau and Book Cliffs below Grand Mesa. There’s lodging at the mountain base and food and drink at the Sunset Bar & Grill. Grand Mesa in northern Delta County simply offers the finest cross-country skiing in Colorado. Deep snow blankets the 10,000-foot-high mesa, called the biggest flat-topped mountain in the world, from November through April. Grand Mesa Nordic Council maintains and grooms 32 miles of ski trails in three different trail systems—Ward, County Line, and Skyway. The trails offer both skate and classic Nordic skiing on either flat or undulating terrain, making it perfect for cross-country winter adventures. Warming huts are near the trailheads. The council also maintains more trailheads on the Mesa for backcountry skiing on ungroomed terrain. Get lessons and ski rentals at Mesa Lakes Resort. Delta County is western Colorado’s snowy playground for snowmobiling. More than 400 inches of powdery snow blankets Grand Mesa every winter, and a dedicated system of snowmobile trails—plus plenty of room for off-trail riding—give you lots of opportunities to take advantage of it all. The trail system includes Land’s End Loop, Bonham, Bull Creek, Cold Sore, and Vega trails, along with the longest snowmobile trail in the lower 48 states. The 123-mile Sunlight to Powderhorn Trail, running between Sunlight Ski Area near Glenwood Springs to Powderhorn Mountain Resort on Grand Mesa, is one of the state’s best rides. Trails are marked with orange flags, with some also used by cross-country skiers. Remember to share the trail. 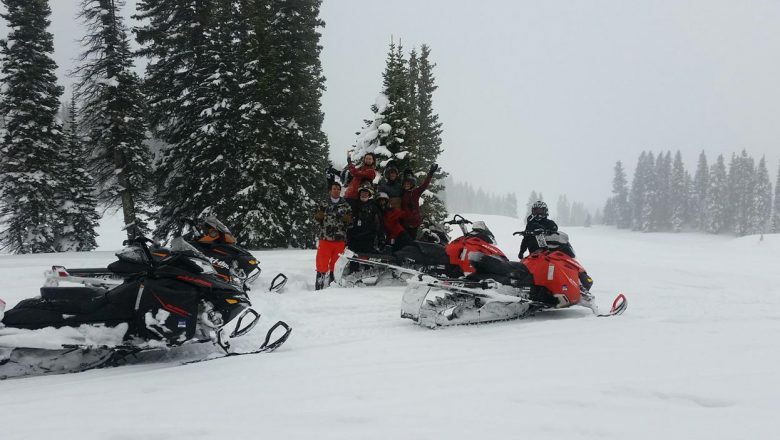 Snowmobile rentals, tours, and lodging are available at Thunder Mountain Lodge, Grand Mesa Lodge or Alexander Lake Lodge with Grand Mesa Adventures. Other snowmobile trails are in the North Fork Valley near Paonia. The broad top of Grand Mesa yields some of Colorado’s best snowshoeing adventures, especially for beginners and families with its gentle terrain. The Mesa is also big enough to find solitude and silence in the winter woods away from cross-country skiers, snowmobilers, and ice fishermen. It’s best to avoid the groomed X-C trails and instead head into the deep woods and snow-covered meadows where you can snowshoe almost anywhere. A designated two-kilometer snowshoe trail is part of the Nordic Coalition’s Skyway Trail System. Other great snowshoeing trails are the Griffith Lakes Trail, Crag Crest Trail, West Bench Trail, and Mesa Lakes Loops. One of the best treks is the 3.5-mile Ward Trail which climbs almost 1,000 feet from the south trailhead on highway 65. Snowshoe rentals and guided tours are available at lodges atop Grand Mesa. Delta County has lakes in both the lower valleys and atop Grand Mesa that make excellent ice fishing destinations. Delta County is one of Colorado’s best ice fishing destinations with many accessible frozen lakes in both the lower valleys and atop Grand Mesa. 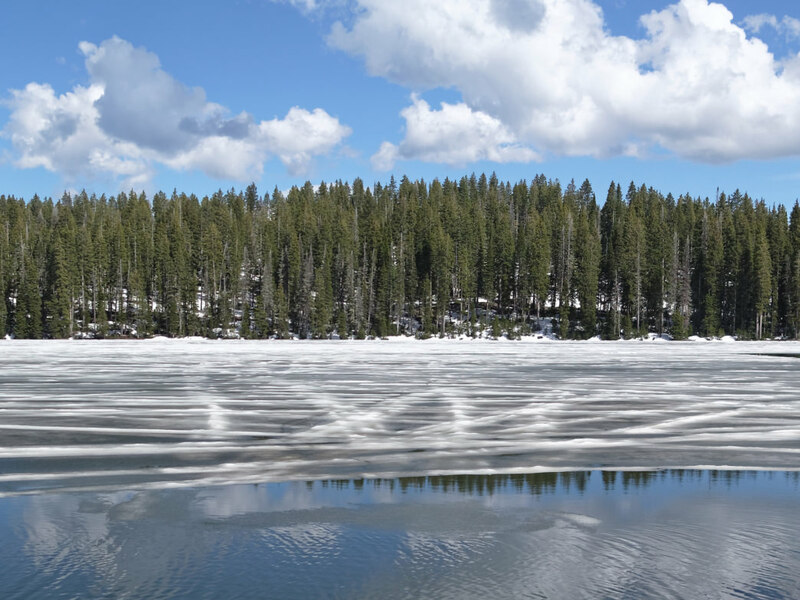 Hardy ice fishermen head to Island Lake, the largest lake on Grand Mesa, alongside highway 65 and drop a line for rainbow, brook, and cutthroat trout. Other nearby lakes, including Eggleston Lake, Deep Ward Lake, and Ward Creek Reservoir, also have thick ice and a long ice fishing season. Crawford Reservoir in Crawford State Park is the best lower-elevation lake for great ice fishing, with fishermen catching rainbow trout, crappie, pike, largemouth bass, and channel catfish. 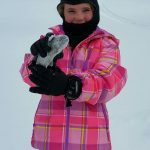 The state park offers a perfect introduction to novice ice anglers, especially kids, by lending out basic ice fishing kits with four rods, fishing tackle, ice scoop, depth finder, and an ice auger for drilling holes. Delta County’s wide range of elevations makes it an ideal winter destination for fat-tire enthusiasts on its singletrack trails, old jeep tracks, and dirt roads. The lower-elevation rides west of Delta are often snow free and generally dry quickly after precipitation and winter days are often clear, cool, and sunny. Some of the best rides, especially for beginner and intermediate riders, are on the Escalante Rim Loop along historic 4×4 roads west of Delta. The mostly easy trails offer great scenery and are usually dry. The famous Sidewinder Trail twists 22 miles through the Gunnison Gorge National Conservation Area on expert terrain. The singletrack trail is easily broken into shorter segments, with a return to the trailhead on dirt roads. After an exhilarating ride, stop by Needle Rock Brewery in Delta for a craft beer and burger. Originally written by RootsRated Media for Delta County Colorado.